Penguins are fascinating creatures. There are 17 different species of penguin and the Emperor Penguin is the largest species as it can grow up to 120cm tall and weigh up to 45kg. 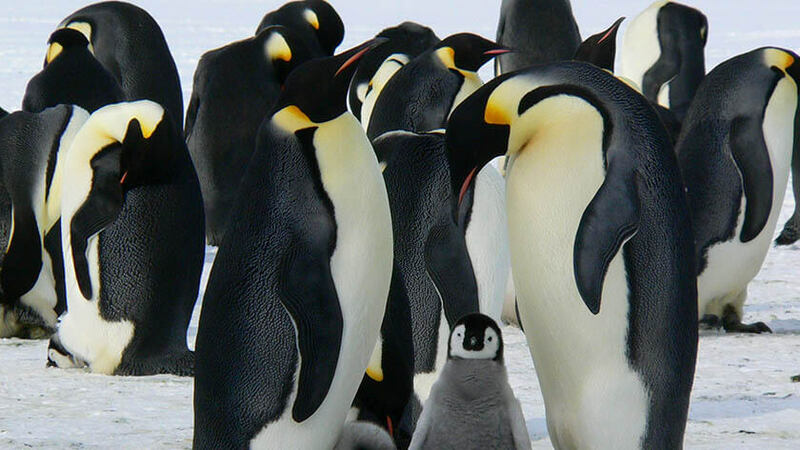 Emperor Penguins can stay underwater for 20 minutes at a time and can dive to almost 550 metres deep. Emperor Penguins live in Antarctica and like to be in extremely cold and icy conditions, however other species of penguin prefer the sun! 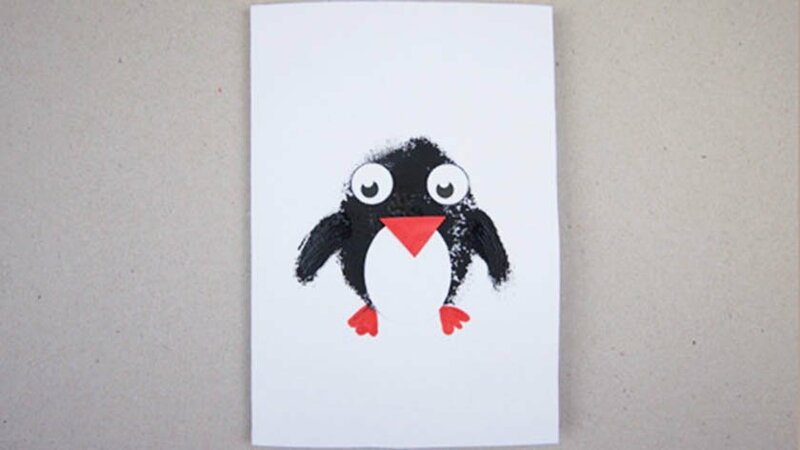 To get your little one excited about penguins try our fantastic penguin greeting card craft. Discuss the penguin facts below during your crafting session and start combining creativity with learning! 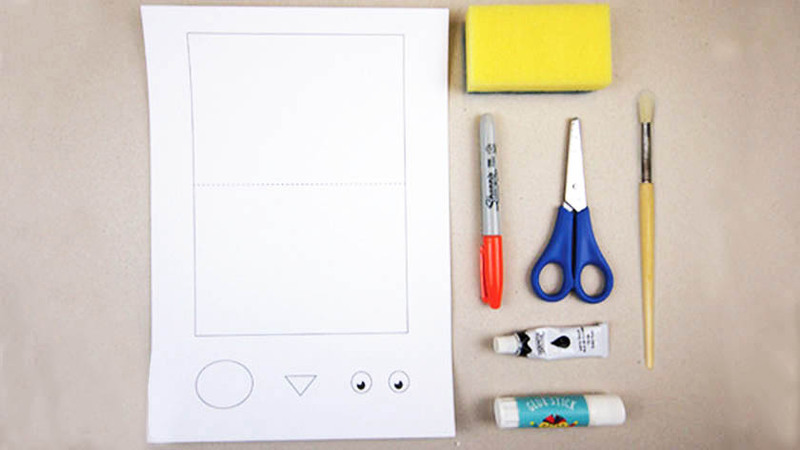 1 Cut out the card (the rectangle with a dotted line in the middle), the oval, the eyes, and the small triangle from the template. Fold the card in half. 2 Cut the sponge into an oval. This will be the penguin’s body. 3 Dip the sponge into the black paint and press it into the centre of the front of the card. 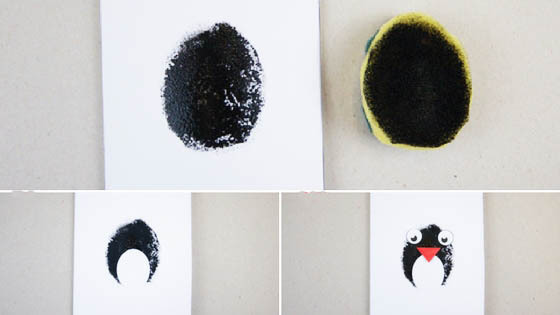 4 Glue the oval shape over the black sponge-print to make the penguin’s belly. 5 Colour the small triangle orange to make the beak. Glue the eyes and the beak onto the penguin to make its face. 6 Paint on little wings and draw some flippers with the orange pen. Your penguin card is complete! Write a message inside and make someone’s day. Most penguins live in the southern hemisphere In the wild, most penguins live in the southern hemisphere in Antarctica, South America, South Africa, and New Zealand. The Galapagos Penguin is the only species that lives in the northern hemisphere on the Galapagos Islands. Antarctica has one of the most hostile environments in the world. Not only is it extremely cold all year round, it is also very windy and dry. To stay warm, penguins that live in Antarctica have a layer of fat under their skin called blubber. They also have a layer of fluffy ‘down’ feathers over their skin which is topped with another layer of outer feathers that overlap to keep warmth in. Penguins rub oil from a gland onto their feathers to help make them waterproof and windproof. Even with all of these tactics it is still sometimes difficult for penguins to stay warm. You will often see groups of penguins huddled together with their wings tight against their body to keep each other warm. As many as 5000 penguins will huddle together and the whole huddle is synchronised to make sure that the penguins who are on the outside are always moving into the centre where it is warmer. In contrast, penguins who live in South America, South Africa, New Zealand, and on the Galapagos Islands can face very warm conditions and are at risk of getting too hot. To cool down, these penguins spread their wings and fluff their feathers out so that any trapped warm air can escape. Penguins are one of the few birds that cannot fly. Instead their wings are adapted to make them excellent swimmers and they can travel at 16 miles per hour in the water! Penguins are much slower on land as they can only waddle or hop. Penguins mainly eat fish, but they will also eat squid, krill, and crustaceans. They have to be very speedy in the water to catch their dinner! Penguins swallow their food whole. They have a hook at the end of their beak which helps them to grab their prey. They also have backward facing bristles on their tongue that helps stop slippery seafood from getting away. Unlike humans, penguins can drink sea water as they have a gland in their eye sockets that acts as a filter to separate the salt from the water. It is often thought that penguins look like they’re wearing a fancy tuxedo. This black and white colouring isn’t there to make sure they get let into black-tie events, but instead is a special adaptation called ‘countershading’. It is used as camouflage and helps prevent penguins being seen by predators, such as seal leopards, orcas, sharks, and foxes. When penguins are swimming, their white bellies are hard to see from below as they blend into the sky and sunlight above. Penguin’s black backs disguise them from any predators above as they are hard to see against the water and dark ocean floor. Penguins like to go tobagganing. They will lay on their tummy and slide through ice and snow. Penguins will also dive off cliffs into the water, get out, and dive in again for fun! There can sometimes be long queues for the best diving spots. Want to play a penguin game? We’ve come up with a fun penguin role-play game perfect for a play date or birthday party. Loosely tie each child’s feet together (not too tight - we don’t want them falling over and hurting themselves!) so that they can move their feet in a shuffling motion. Tell the children to hold their arms to their sides to complete their transformations into penguins! The children can huddle together as if they are protecting each other from the harsh conditions of Antarctica. Make sure they all swap places so that the outside penguins don’t get too chilly! Let all the penguin children pair up and lay eggs. After the eggs have been kept warm for a period of time they will hatch into beautiful penguin chicks (you can use any soft toys you have for this). Cut some apples into small pieces and place them on plates. Offer the apple to the kids but tell them not to use their hands as penguins have to pick up food with their beaks. A big leopard seal (you!) can appear and try to catch the little penguins for its evening meal! Give them the chance to hop away and hide.